Ray Williams was optimistic about his professional chances out of Clemson University in 1985, according to The Spartanburg Herald-Journal. The two-sport star for the Tigers wanted to ultimately play baseball, and make the major leagues, he told The Herald-Journal. "I can hit with power and I've got real good speed," Williams told The Herald-Journal in December 1985, "and those are two things pro scouts want to see." 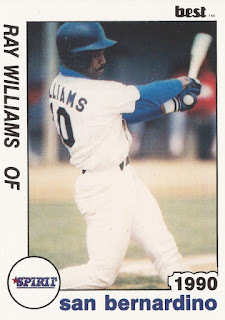 Williams ended up playing professionally, but he didn't end up making the majors. He played just three seasons. He never made AA. Williams' pro career began in 1988, signed by the Mariners as an undrafted free agent out of Clemson. Williams was also sometimes known as Bo Williams. At Clemson, Williams stole 70 bases over his four-year career, still sixth all-time at the school. He hit 16 home runs in 1986, one of them a ninth-inning, game-tying round-tripper in a March contest. He stole 24 bases in 1987, according to the school's media guide. In Williams' other sport, football, Williams played wide receiver. He was targeted in on September 1986 game near the five yard line. The ball was intercepted, but Williams stripped it and Clemson recovered, according to The Herald-Journal. "The play by Ray was one of the plays of the game," Clemson quarterback Rodney Williams told The Herald-Journal afterward. "We had so many big plays, but that was one of them. I felt a lot better when he got the ball back." With the Mariners, Williams started in 1988 at single-A Wausau. He hit .226 in 100 games. He returned to Wausau for 1989, getting into just 40 games. He hit .253. For 1990, Williams moved to high-A San Bernardino. 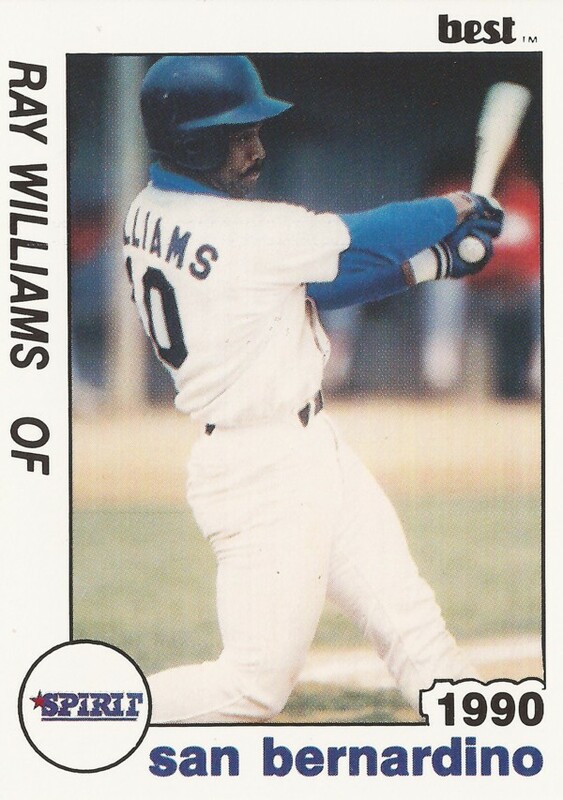 In 78 games, Williams hit .239. It was his final season as a pro. After college, Williams first tried pro football. He signed with the Seahawks, then got into three games with the Browns during the strike but didn't get a reception, according to his hometown Fayetteville Observer. During his first season at Wausau, Williams told The Observer he knew his time in baseball was finite. "I wasn't born yesterday, I know there's more to life than sports," Williams told The Observer. "I'm not going to be like other guys that stay and stay. I can live without playing pro ball."